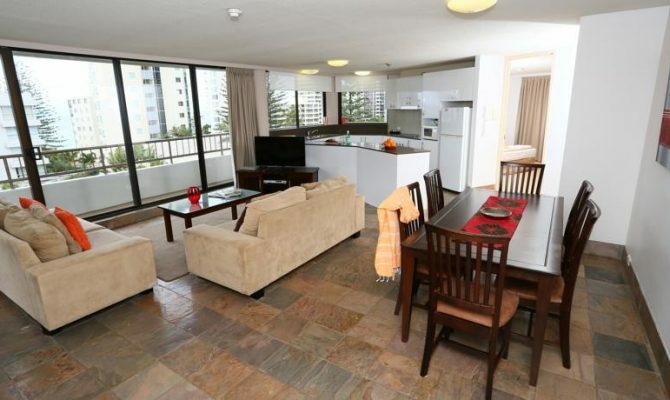 Pleasant, relaxing 135 square metre 2 bedroom, 2 bathrooms, air conditioned modern apartment. Fully self contained featuring a seperate lounge area, Foxtel TV, full kitchen facilities, seperate laundry and wrap around balcony offering beautiful beach views. It features an outdoor swimming pool with a slide, and a heated indoor swimming pool, full size tennis court, spa, sauna, BBQ area and a secure underground car park. Only 2 minutes walk to a safe patrolled beach, restaurants, general shops and public transport are all practically at your doorstep. With its casinos, Jet skis and luxury hotels the Gold Coast looks like its straight out of a James Bond movie. Australia's major theme parks are all here, and the quieter hinterland offers many activities from rainforest walks to sky diving , rock climbing and scenic flights. Shopping and dining are all world class. 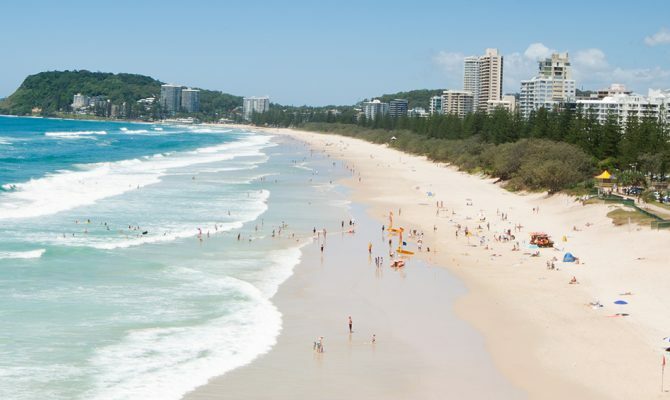 The star attraction is its warm weather and beautiful beaches, including the world renowned stretch of sand at Surfers Paradise. Beyond the beaches , discover laid-back neighbourhoods, a booming culinary scene, vibrant night life, and the Gold Coast famous theme parks. Don't miss the nearby subtropical hinterland with its rainforest walks and waterfalls. A golfing paradise. 24 amazing golf courses. Jack Nicklaus, Arnold Palmer and Greg Norman all have designed signature golf course layouts. It is a mecca for golfers with courses ranging from quaint 9 hole layouts to established member clubs and opulent private resorts. Most clubs offer special fees on a casual basis, often not expensive. 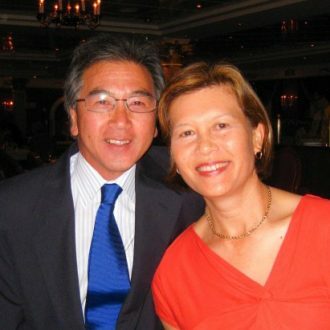 About I am a recently retired family doctor, My wife, Angela and I love travelling meeting new people and experiencing all the great experiences the world has to offer. I have worked for 40 years as a general practitioner. I loved my work and enjoy helping people, and we are actively involved in Rotary. I am 66 years old and my wife is 59 years old....... both enjoying regular golf, tennis, bicycle riding, walks and gardening. We both love the beach but also love experiencing new cultures, meeting new people and making new friends, and sightseeing anywhere in this big beautiful world. One of our mottos is "When you are rich in friends you are then poor in nothing". We are happy for non- simultaneous exchanges.